Working on steel windows is a completely different experience than restoring wood windows. Their construction is different and the techniques and tools used are different. One of the most common repairs you need to know is how to replace glass on steel windows. So, I’ll walk you through how to get it done safely and quickly. Replacing glass in steel windows often results in the glass breaking on its way out if it isn’t already broken. Steel windows often have cement putty used in them, which is exactly like it sounds. Incredibly hard and stubborn, and feels like it takes a pack of dynamite to get it out sometimes. If you want the whole process I use to restore historic steel windows in detail, get a copy of my Craftsman’s Guide to Restoring Steel Windows. Steel windows have a couple hazards that you should mindful of before starting. Lead paint is often present on steel windows and glazing putty made in the first half of the 20th century may contain asbestos. Read these posts before getting started to make sure you are being safe. 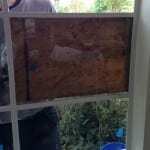 Now that we’ve covered the safety tips, we can get into the nitty gritty of replacing that pane of glass. 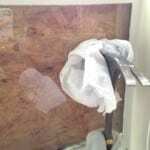 Using a 1/2″ chisel and a hammer, dig out the putty on the exterior of the pane that needs replacement. Make sure you remove as much as possible to give the glass room to come out. Depending on the manufacturer of your windows, you will have between 2 and 4 spring clips per pane of glass. Remove these clips by prying them out of the frame with the chisel. Move to the inside of the window and score the paint/putty line on the glass to break the seal. Wear gloves and glasses to protect yourself against getting cut by the glass in this step. 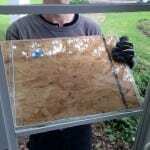 I prefer to do this with a partner on the outside to hold up a piece of plywood to cover the opening because glass can shatter here. 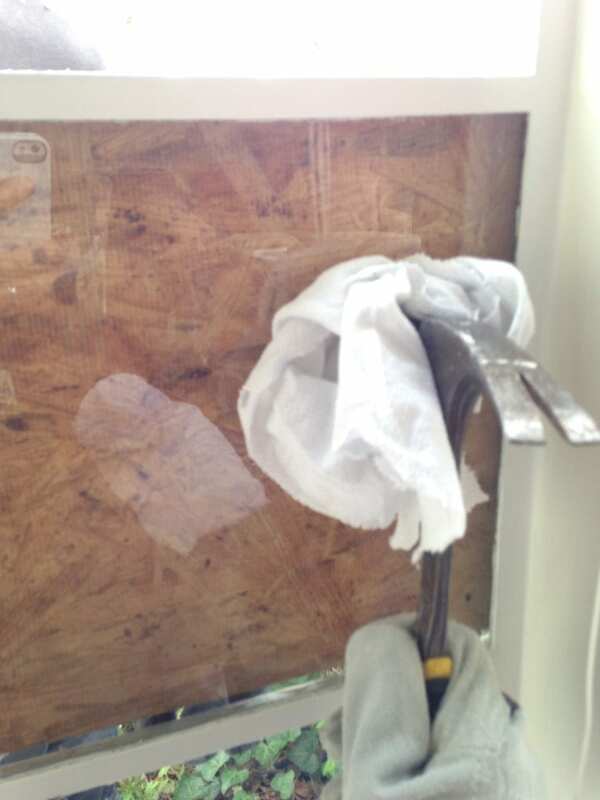 Using a rubber mallet or a regular hammer with a rag wrapped around the head, bang around the edges of the glass from the inside to break it free of the frame. With all the glass out, finish removing any remaining putty from the frame using your chisel. Back bed the frame with your choice of glazing putty. I prefer Sarco DualGlaze, but any putty that is designed for steel windows will work just fine. 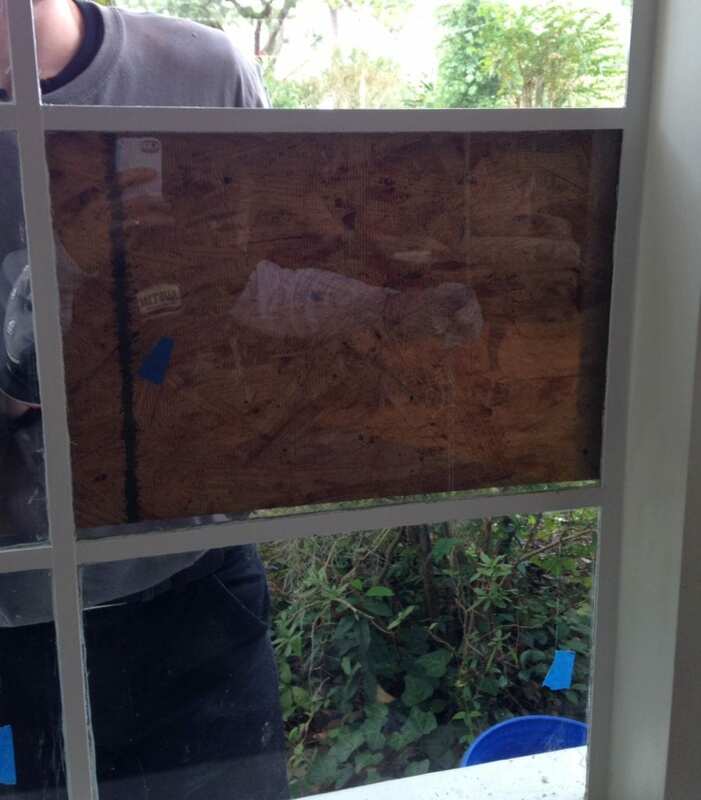 Cut replacement double-strength glass to fit your opening and be sure to leave the replacement glass at least 1/16″ smaller than the opening to avoid it cracking from expansion in the future. From the outside, firmly set the new glass into place by pressing it into the glazing bed until most of the putty has squeezed out on the inside. Set new spring clips in the locations where the old ones were to hold the glass firmly in place. Apply glazing putty to the outside and tool it to a smooth beveled surface with clean mitered corners. For more tips on how to finish glaze watch my video How to Reglaze Your Old Windows. Once you’re happy with the glazing, clean the glass of any remaining oils with some whiting being careful to avoid disturbing the finish glazing. That’s it! Start to finish the whole process shouldn’t take you more than 1 hour even if you’ve never done it before. Historic steel windows can be really beautiful when restored and surprisingly efficient once tuned up properly. If you’re contemplating restoring I would definitely recommend you read my guide on the process. I’ve included all the information you need in one easy to follow eBook. I have a contractor restoring a 90 year old building with over 1000 panes of glass in steel window frames. We removed all glass and putty, had the frames sandblasted down to bare metal, primed and painted. Now ready to set the new glass in the openings. I need some advise there. Our frames don’t have holes for spring clips. The glass sets from the inside so if we did apply putty it would all be on the inside face. We are using a prefinished metal glass stop. What do we need to use to set these windows to keep from leaking and holding them securely in place. I’m surprised they don’t have the holes for spring clips since even on industrial windows like that there were usually clips. You can look at using butyl tape to bed the glass in to keep water out and the metal glass stop could be bed in a polyurethane sealant. Not easily reversible, but should provide good performance. The trickiest part of replacing broken glass panes in steel-casement windows is getting replacement glass that s sized exactly right. Hi, I have the same question as Ellen McGuffie, how to fit the spring clips in a metal frame window. Can you please advise. There is a small hole in each frame to accommodate at least 2 spring clips. I have a question. 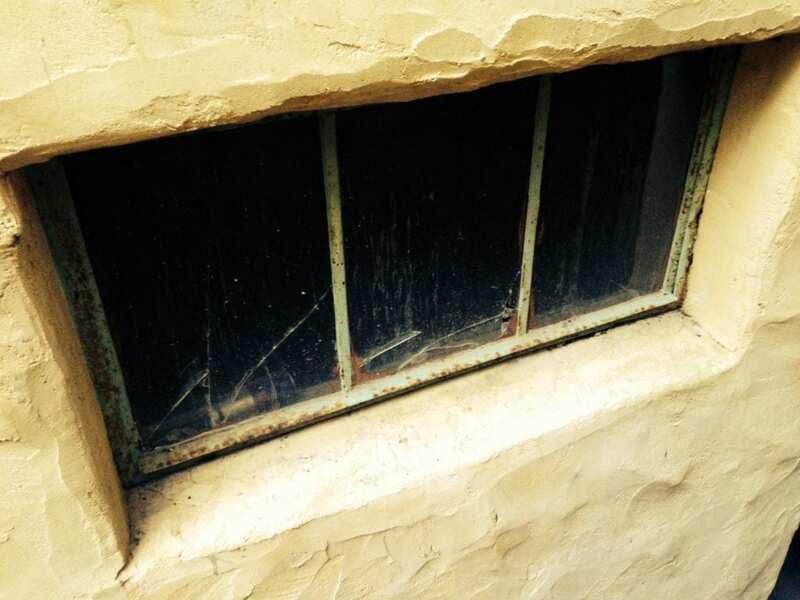 We have steel casement windows from about 1930. Three of our windows are huge, with 42 panes of glass apiece. In those there are two 8-page casement windows beneath two awning-style windows that contain 4 panes apiece. The rest are all stationary. We hope to reglaze in the future. Right now, can’t afford that. Just repairing, scraping old paint, applying rust destroyer, primer, new paint. I haven’t encountered any of those metal spring clips. Seems like only the glazing compound is holding the glass in. How does one use these spring clips? they are easy to find online, but I can’t find any instructions about them anywhere. My son and I are making wooden storms for my 1925 bungalow in Oldsmar Florida. 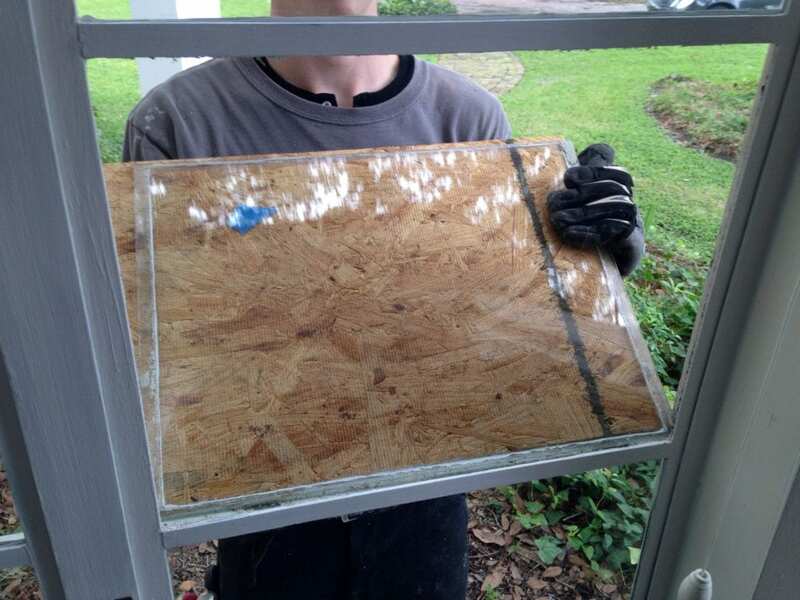 Would you ever consider using Lexan or some other type of plexiglass for the glazing to make the windows more storm proof and to protect the original glass in the double hung windows? Plexiglass or acrylic doesn’t do well when exposed to the elements for a while. I would use standard glass before plexi especially in the harsh climate of Florida. Wow, I didn’t know I would need to do so much prep work to replace the glass on steel windows. I don’t even know if there is any lead present on the frame! If you have to do this much to replace window glass, then I think that I’ll just find a professional instead. Unfortunately I don’t have the time to do all of this! It can seem like a lot especially in writing but it’s really not that bad. A professional is always easier though and you can do something you enjoy while they work!